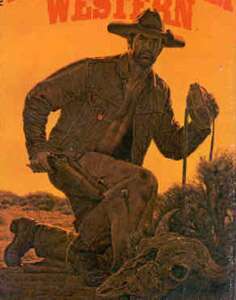 In addition to his 62 Doc Savage covers, James Bama painted covers for the Nevada Jim series and numerous paintings on western themes. More information can be found at James Bama: American Realist. 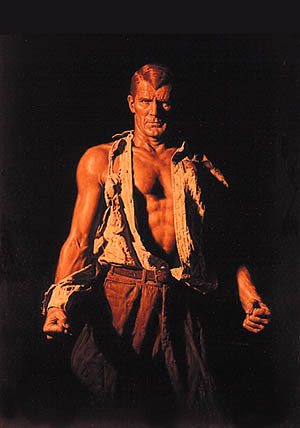 For many modern fans, this is Doc Savage they remember from their youth. 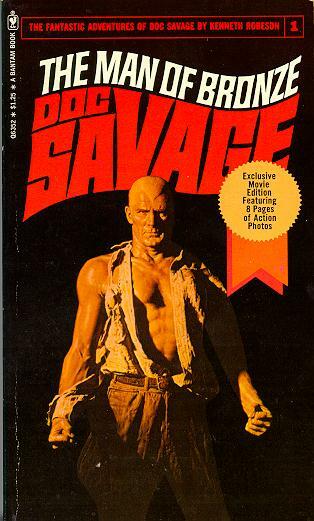 However, this was Bama’s first take on Doc Savage before Len Leone at Bantam Books requested the widow’s peak. 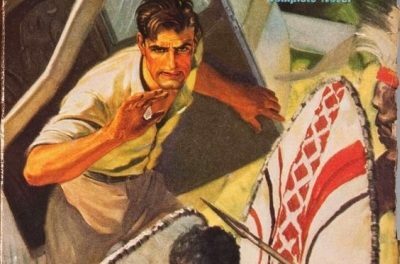 That painting looks oddly familiar, but what is it doing on a Doc Savage website? Well, first, the artist is James Bama. Yes, the Bama who painted the best Bantam covers. That’s why it looks so familiar. Second, I chose this Bama painting as the subject reminds me of an elderly John Sunlight. Who is this? I like to think this is Bama’s version of Pat Savage. Doc fan Paul Cook rightly points that Bama works for cash and probably didn’t paint this lady as his view of Pat. Still, I like to think the bug hit him one day and he just had to paint his version of Doc’s cousin. 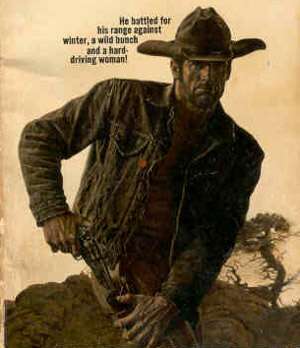 Doc Savage fan and Flearun member Biblioman contributed scans of Doc Savage in his earlier incarnation as Nevada Jim. 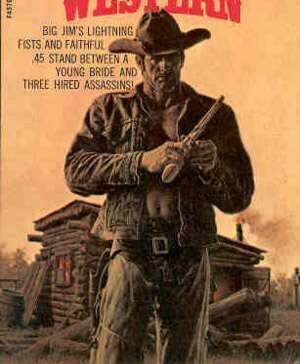 Actually, you can recognize Bama in these illustrations for a series of western novels. Personally, these poses and colors give me Doc Savage flashbacks. I’ll leave it to readers of this page to comment on which Doc Savage cover matches which Nevada Jim cover. Want more Bama? Or even more Bama? I am trying to find out how Mr Bama came up with the face, widow’s peak hair, etc. 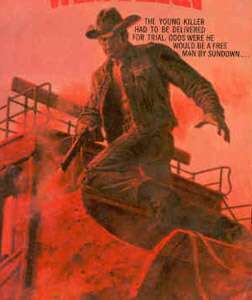 for the Bantam Doc Savage covers. My highschool science teacher went to college with Dent. 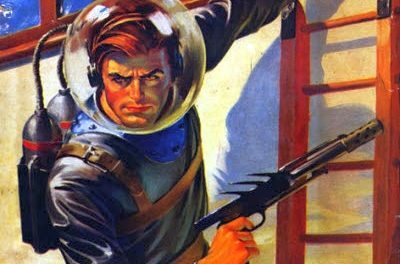 The afore mentioned science teacher is a deadringer for the Doc pictured on the Bantam covers and shared several personality quirks with Doc Savage, not to mention the same physical features. If anyone can help me contact Mr. Bama, please help out. Did Dent tell Bama what Doc should look like? Who did Bama use as a Model? If there is a biography on Dent what is the title and where can I find it? When did Bama actually do the covers? I have pondered these questions for more than thirty years and perhaps the internet will now help my put mind at rest on the matter. Also, I am about to move to La Plata where Dent lived. I recently discovered that not only did my aunt (who lives in La Plata) knew Dent, but bought some of his pesonal belongings at an auction. I am a little pressed for time so please email a.s.a.p. Four different doctors with three different specialties have told me I should be dead already. I am literally racing death to get these answers. I remember Jim Bama saying in an article way back when that his model for Doc was a fellow named Steve Holland. Bama called him “the world’s greatest male model” and maybe he was. 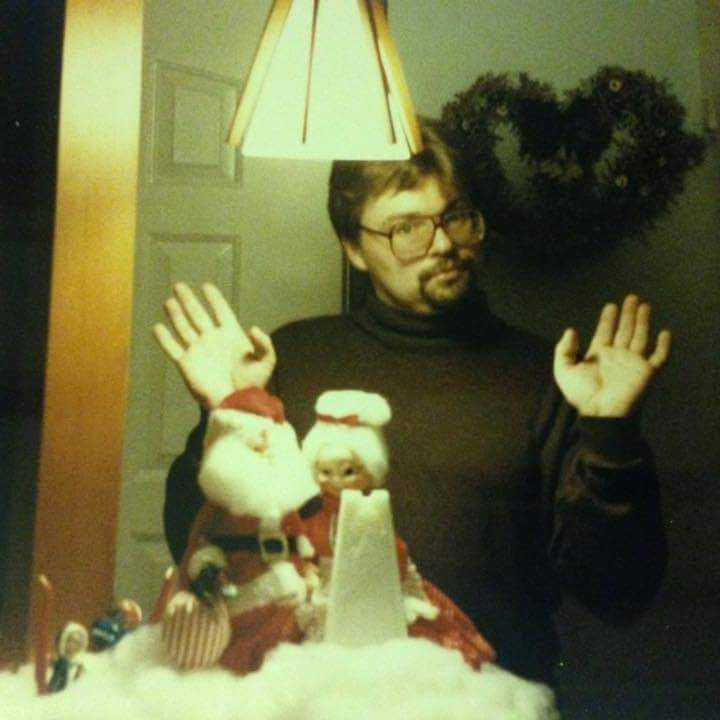 I don’t know if this model fellow went on to direct the movie “Better Off Dead” starring John Cusack, but the director’s name was given as “Savage Steve Holland,” which made me a little suspicious when I saw it. I think I remember Philip Jose Farmer noting in his book, “Doc Savage, An Apocalyptic Life,” that the widow’s peak was a creation of Bama’s but I think the motive was merely to jazz up the image. I don’t believe Bama ever met Lester Dent. Comics Scene Yearbook #2 (1993) devotes several pages to Doc, the artists of the Bantam pbs, and Lester Dent. They id the model as Steve Hooland and interview Bob Larkins who took over from Jim Bama and others. They say the Bantam look originated with Mr. Bama and that the model was Steve Holland. 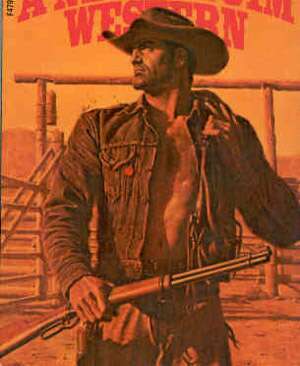 The article also says that Boris Vallejo was modeling himself for his covers. I have also heard that the model for Bama’s Doc was Steve Holland who has since passed away. 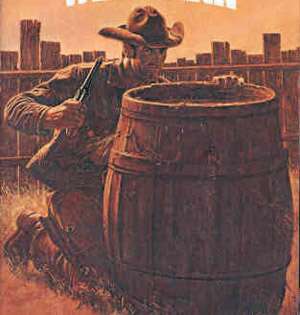 It’s obvious that he was also the model for the Nevada Jim series that was written by Leonard F. Meares under the pseudonym of Marshall McCoy. This may seem strange, but I remember seeing once a commercial for an aftershave lotion or men’s cologne in or about 1961 on television. It showed a man, a hydroplane pilot, holding his helmet in one hand and a girl in another. He had a long vertical scar down his right cheek and a very pronounced widow’s peak. This was before Bama went to work for Bantam. I wish I could tell you more about this commercial. It was on only once. Chuck, how do you know that the image up there of Pat Savage is, in fact, intended by Bama to be Pat Savage? Couldn’t that just be a painting of a model or a woman at random? It’d be cool if it was Pat Savage, but I can’t imagine Bama, who gets paid for his efforts, would just sit down (or stand) and paint his version of Pat. Hmmm? I met Steve Holland back around 1990 or so at a comic book convention in New York City. 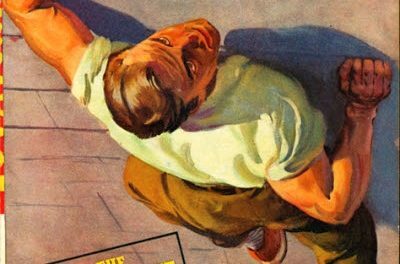 He had been advertised as TV’s Flash Gordon (from the 1950’s TV show which I barely remember) and as the model for Doc Savage. I took a photo of him and you can definitely see that he was the model for Doc. That painting of the woman looks suspiciously like Bo Derek (look at the face in the enlarged version). I doubt it was supposed to be Pat. Bama is fantastic. His art on a Doc cover is what prompted me to pick up the book in the first place. 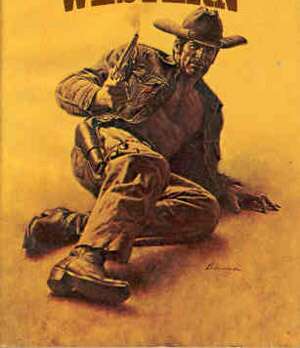 I’ve bought a couple of his compilation of western art books, they are real nice. 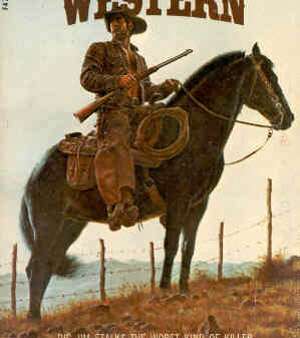 I’ve managed to find most of the Nevada Jim paperbacks also. 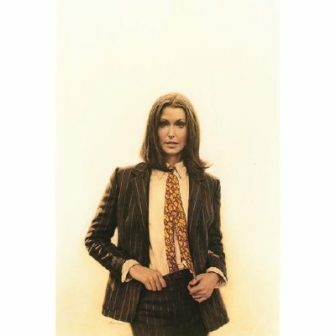 I would like to find a copy of the painting of the woman above, I’ll gladly think of her as Pat. 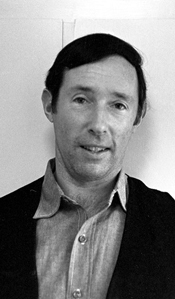 Bama’s model was indeed Steve Holland, who later directed several films using the name Savage Steve Holland, so proud was he that his became the archtypal image for Dov Savage. 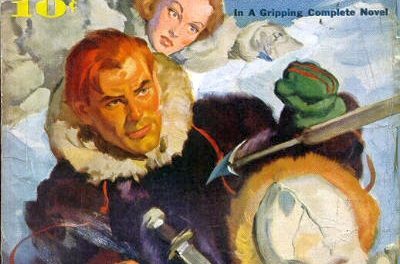 The widow’s peak was described in detail (along with just about every other aspect of Doc’s physiognamy, in each and every one of the pulp stories) by the author. 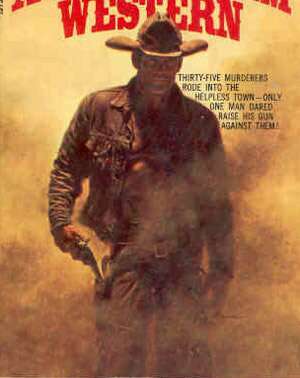 Bama’s art is beautiful, and the Doc Savage stopries are so stupid as to be unreadable (I know, I tried at age 14, and it was beneath me). 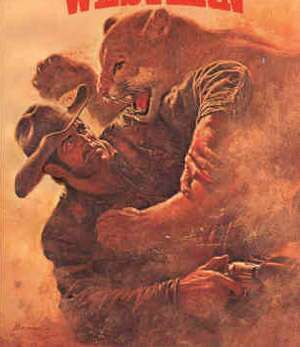 Bama’s cowboy paintings blow in comparison to his Doc Savage and Aurora monster model kit paintings. Sorry, Dudley, Steve Holland is not Savage Steve Holland. 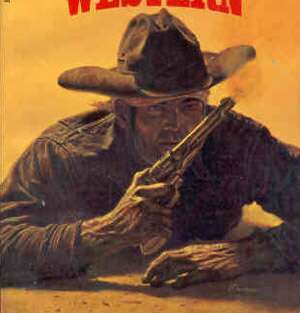 The images of the Bama artwork for the Nevada Jim westerns sparked an interest in me to acquire these books. I am having some difficulty identifying how many actual titles there were in the series. 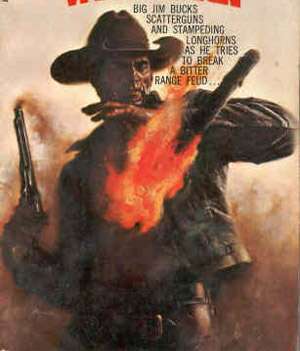 I would appreciate it if you could identify the actual titles that match the posted images from the Nevada Jim series. I am looking for a print by James Bama. It has Christy Mathewson in background and children setting around reading a book. 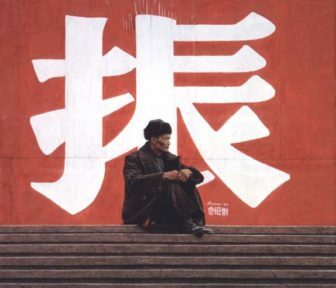 It was in a calendar called “Remembrance Advertising” I cannot locate this picture and would love to order a copy. Please help! I met James Bama once in 1985 when I was 19 years old and driving across the western U.S. with my high school art teacher. We just, well, stopped by and knocked on his door. It just seemed so simple, so naive when I think back on it, but he was just so gracious and so friendly. He invited us in and we talked for hours about art, New York City (Bama had moved out west years ago), boxing, and of course, Doc Savage. 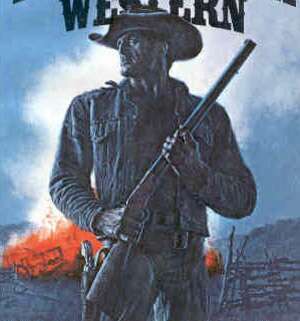 He showed me an original painting he had done of Doc for one of the book covers, I forget which one. It was just beautiful. Bama used models and took photos of them, and then painted from the photos as reference. The guy was my art hero, and I never forgot that day. Bama’s doc will always be the greatest. 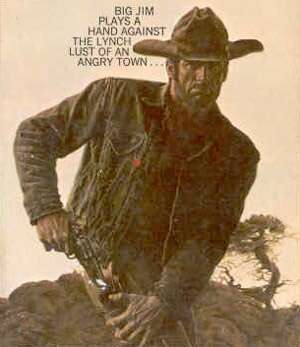 No disrespect to Steve Everett, but it is in fact obvious that Steve Holland was NOT the model for Nevada Jim. I’ve been collecting them myself, and I think there are 16 titles in the series. 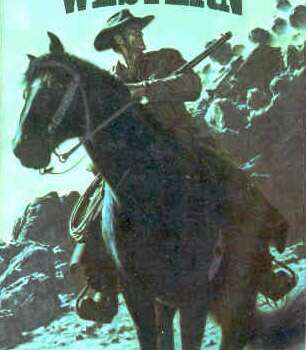 ( In the list opposite the title page in the books, both “Wes Durand” and “satan’s back trail” are listed 15th in their respective copies, after “Behind the Black Mask”) Be careful when you by them online, since some booksellers list Mccoy’s Larry and Streak” titles as “Nevada Jim”‘s. . Also, you can pick up some of Steve Holland”s “Flash Gordon “episodes on DVD in Target for a buck! Another thing I wanted to add- whenever I see the Ron Ely “Doc’ movie poster art on ebay or elsewhere it’s always listed as “photo” when in fact it is a painting by Roger Kastel, another superrealist paperback artist most famous for the cover of Peter Benchley’s “Jaws”.